Federal Transport Minister Lisa Raitt endorsed John Tory’s mayoral campaign Monday, though the nod did little to impress his opponents on the campaign trail. Federal Transport Minister Lisa Raitt endorsed John Tory's mayoral campaign Monday, though the nod did little to impress his opponents on the campaign trail. Praising Tory's approach to politics, Raitt said she believes he has the qualities needed to work with others and get things done. "I can tell you that John can get along with people. John can lead people. John can negotiate with people. John can get to an end result," Raitt said. But two of Tory's high-profile mayoral opponents thought little of the endorsement being offered. 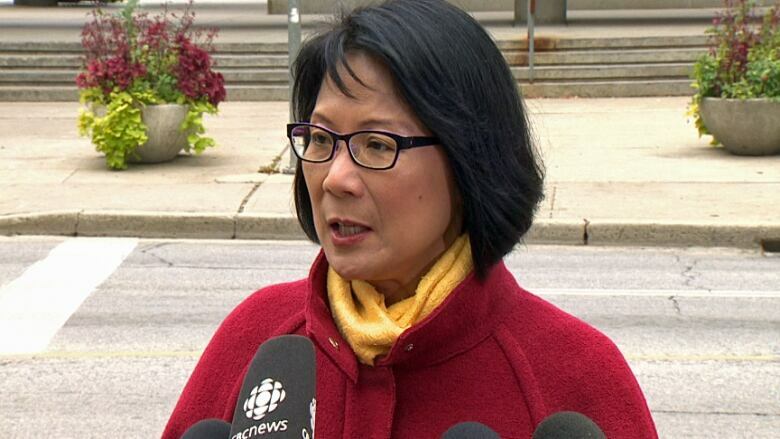 Olivia Chow said Tory had taken an endorsement from a politician who had previously "slapped a serious lawsuit on the local residents" when she led the Toronto Port Authority. "She likes to muscle out and silence the local residents. That's not acceptable," said Chow, referring to the lawsuit that was eventually dropped after an apology from a community group. Chow was also critical of Raitt's support for eliminating door-to-door mail services and thus was critical of Tory for accepting her praises. 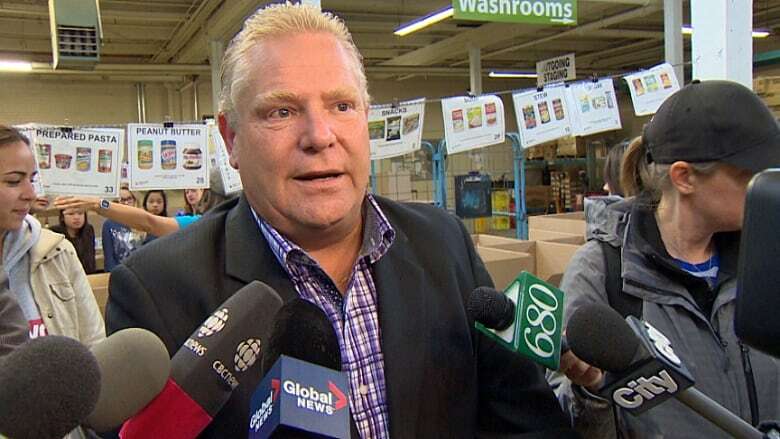 "Mr. Tory needs to justify why he would accept an endorsement from a minister that is cutting off door-to-door postal services to everyone in this city," said Chow. Meanwhile, Doug Ford suggested Raitt was the latest in a list of "political insiders" to endorse Tory's mayoral bid. "I have the people on my team and that's all I care about," he said. Endorsements pile up, but will they help? Tory's website lists dozens of public endorsements and the photos of the people endorsing him, including Raitt. They include former and current politicians, as well as other prominent personalities. On Chow's website, she has dozens of endorsements of her own. And while these candidates may see value in having others tout their virtues to voters, James Wittebols, a professor of political science at the University of Windsor, said it's hard to say how such endorsements translate at the ballot box. "I think it's kind of difficult to isolate the effect of an endorsement," he said on Monday. "I don't think people can identify where their decision comes from." Wittebols said he suspects that for people who read a lot of news, endorsements may mean "next to nothing." Though endoresements could mean more to those who don't follow the news as closely, he said. The Oct. 27 election is just two weeks away. A six-day period of advance voting starts Tuesday.